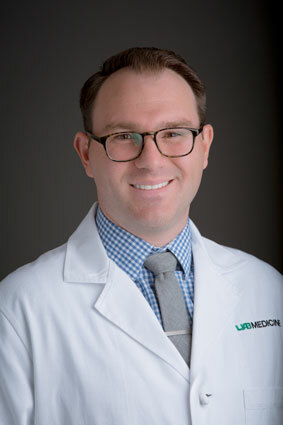 J. Bart Rose, M.D.The University of Alabama at Birmingham has established the first multidisciplinary program in the state to treat diseases of the pancreas and bile ducts with the creation of the Pancreatobiliary Disease Center within the School of Medicine. The center will link medical professionals from across UAB Medicine involved in managing pancreatobiliary diseases, including pancreatic cancers, pancreatic cysts, pancreatitis, bile duct and gallbladder cancers, bile duct injuries and complex benign disease of the bile duct. The Pancreatobiliary Disease Center is made up of advanced gastroenterologists, interventional radiologists, medical and radiation oncologists, critical care intensivists, surgeons, pathologists, genetic counselors and specialty support staff. “Our multidisciplinary approach ensures patients with complex benign or malignant problems involving the pancreas or bile duct will be offered appropriate and modern treatment, in an expedited fashion, all done in conjunction with their local providers,” Rose said. 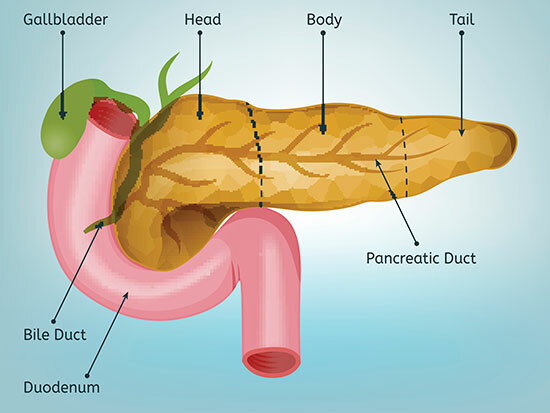 The pancreas is an endocrine gland that produces important hormones, including insulin. It also aids in digestion by producing several enzymes that function in the small intestine. The bile duct is a system of tubes that carry bile, which is essential for digestion, from the liver. Cancer in these organ systems are among the most deadly and difficult to treat malignancies. Rose said the program will be a statewide referral center. Since pancreatobiliary diseases can be challenging and difficult to treat, many are best seen at a major academic medical center such as UAB, which can provide cutting edge treatments and services that may not be available in local hospitals. UAB also offers access to genetic testing and research opportunities, including participation in innovative clinical trials. For more information on the UAB Pancreatobiliary Disease Center, call 1-833-UAB-4PDC (1-833-822-4732).